2016 is the year of a classical accessories revival. From tassels to a reinvented ethno and a pearl revival, runways were inundated by lovely details brought back in the spotlight by these accessories. Classical is too often associated with demure. 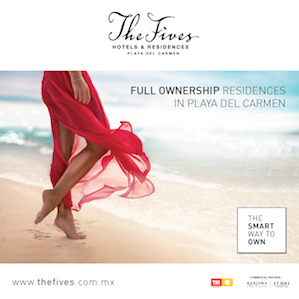 We believe that this perception is unfair to the timeless charm of these accessories. As such, we created a list of ways to prove that not only can you revive classical accessories, but that they are far from being dull and demure. 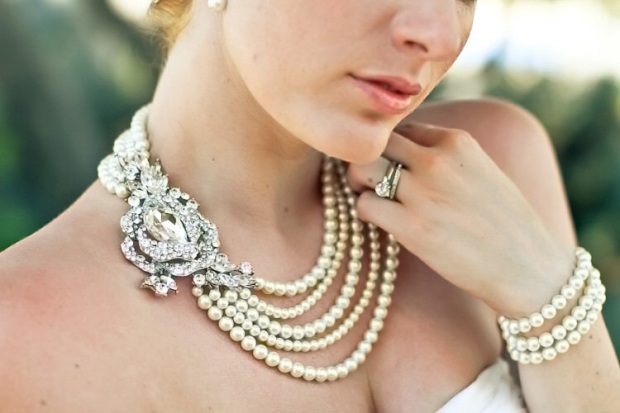 When we think pearl earrings and pearl necklaces, we think classical jewelry that our grandmothers would wear. Donned by royalty and aristocracy, these heirloom pieces have been reinvented in uniquely alluring ways. For instance, shoulder length pearl earrings are featured in a number of daring collections and are easy to integrate into modern looks ranging from classy to glam punk to smart casual. Once again, pearls have been upheld in high regards by upper strata of society since days long gone. Now, cultured pearls have become increasingly more accessible and as they adorn jewelry, they also add their soft and feminine glow to any accessory or clothing staple. Pearl bows are feminine details that lend a classy, modern and feminine touch to anything from shoes to necklaces and hairpieces. Classic fabric tassels are fluid, dangly and an intriguing accessory to jewelry and exciting new wardrobe staples. They’re funky, they draw attention and they look gorgeous regardless of the items they decorate. Add a pair of braided silk tassel earrings to your evening dress to look astonishing. 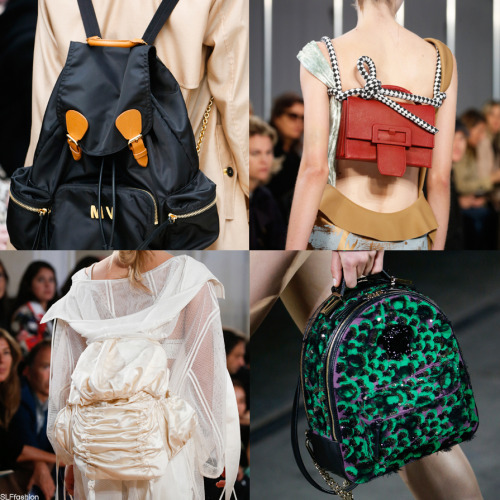 Who would have thought that the school day – reminiscent backpack would ever be donned as the must-have fashion accessory of 2016? It’s back, and it has a remarkably overwhelming presence. Fabric backpacks are paraded alongside leather and suede backpacks in all the colors of the rainbow. It’s safe to dusty up your old backpack and return it to glory. The ruffles of the Flamenco dress may have looked tacky to the wider public but this year, ruffles are all the rage. They’re the great romance of spring and summer fashion, yet they’re not the only ethno inspired details. When it comes to classical accessories, donning intricate design cuff bracelets all the way to the elbow is a fashion statement. 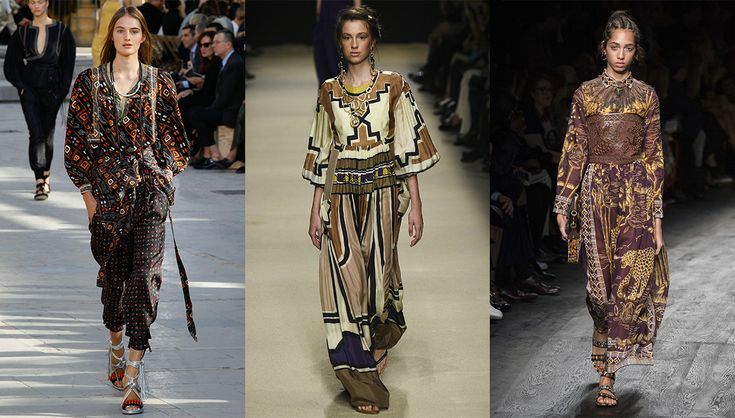 Ethno prints ranging from exquisite African patterns to Mexican designs are also experiencing a new wave of popularity. This year’s most popular trends confirm the ethno revival. Tiaras are a classical accessory worn by princesses throughout history and reserved to brides, prom queens, and pageant beauties in more modern times. 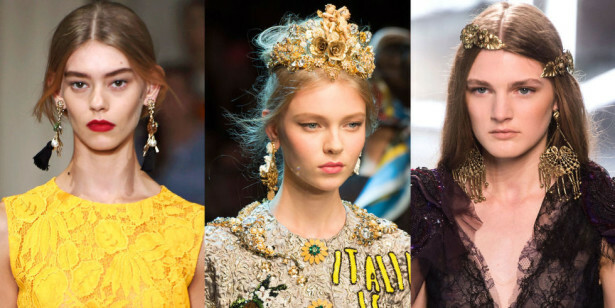 Fresh new takes on these classic headpieces allow tiaras to be worn regardless of the time of day or night in glamorous outfits and more unusual combinations. 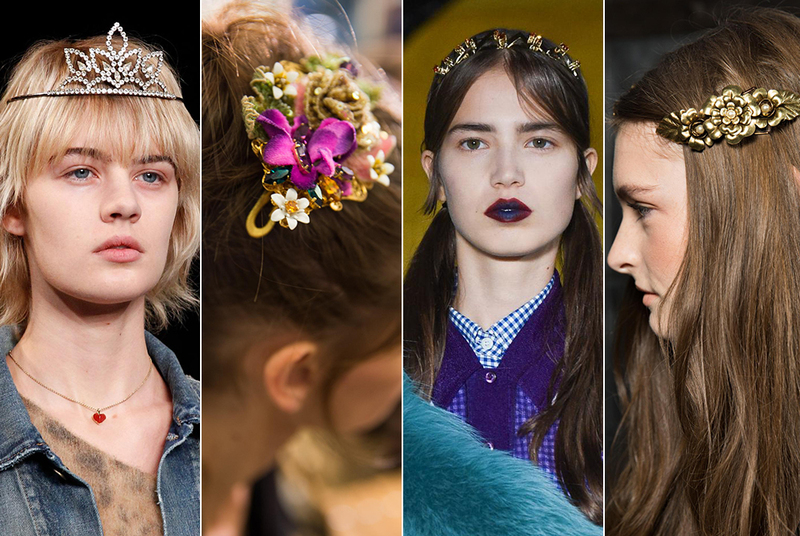 An ornate headband may be a toned down version of the tiara perfect for the office. Nonetheless, come summer and festival season, tiaras will be flaunted in full sparkle. Any brooches will do. 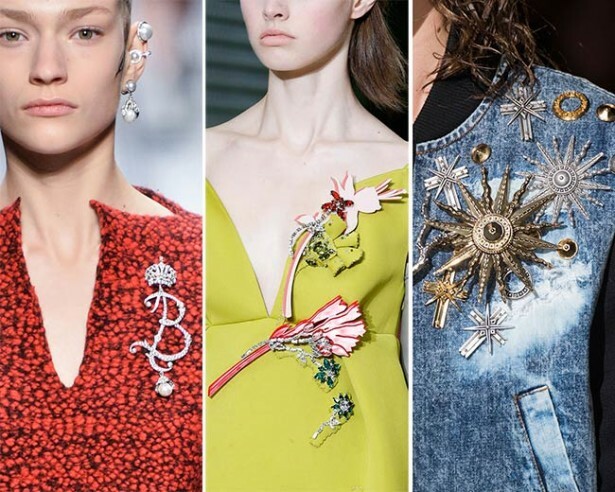 While brooches maintained a low-key presence for the past few years, 2016 is reviving the brooch and encouraging the wear of as many such classical accessories as possible. Vintage brooches flaunting pearls, Victorian era-inspired brooches, intricate and glamorous rhinestone brooches will accessorize your clothing this spring and summer. Far from being demure or boring, these classical accessories just got a new lease of life through inspired new designer collections bound to make their mark on the year’s trends. Pearls, pearl necklaces, ruffles and tassels, as well as brooches and backpacks make a lively mix of joyful trends bound to up your style credits. Heather aims to climb the ranks of the fashion blogosphere all the way to the top. She writes to-the-point style advice, serves outfit inspiration and creates makeup tutorials that seem to be enjoyed by thousands. When she’s not busy perfecting her style and deciphering the style secrets of other fashion and beauty bloggers, she’s also up for some session of wardrobe curating. Heather’s dedicated to her followers, to the work she engages in to serve stellar quality posts to her audience and to her lovely two pets: Mina the Scottish fold and Noah the golden retriever.